The Mani Group of builders have successfully built a residential complex near Rajarhat which is the budding business hub of Kolkata. The people who want to buy their houses in these building will actually know what it is to live a luxurious life in the city due to the presence of greens and an elegant style of living in the complex. 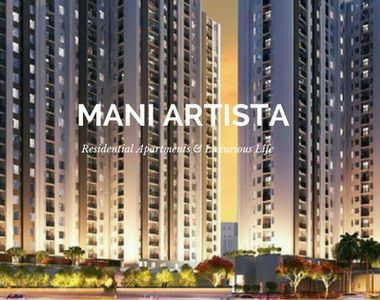 The Mani Artista has 4 towers with a total of 551 flats and it is spread over 5.02 acres of land. The flats comprise of wide balconies and large windows with good ventilation. The estate has the facilities of a green environment and this is going to ensure that everyone enjoys the green cover. The residents can stroll in every evening in the walkways in the landscaped gardens or enjoy the nature from their balconies. 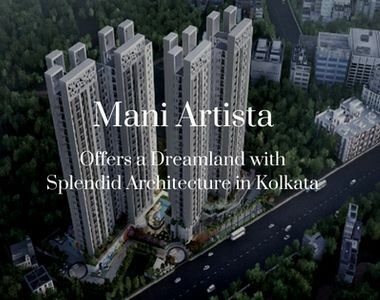 The Mani Artista Kolkata has a strategical location and is present very near to the places of commercial importance like Park Street, Esplanade, Central Avenue, and B. B. D. Bag and is also very near to hospitals, schools, malls and colleges. The location is so lucrative that even the office goers at the sector 5 salt lake area are very keen to invest in this undertaking. Some of the key amenities for the resident include. There are some other amenities available in the Mani Artista Rajarhat like having an open space, a multipurpose hall, club house, cafeteria, etc. which makes it even more appealing than the other projects that are growing. The flats are so good that even NRIs are being interested to buy these flats. Miraculously, the builders will provide all help to them if they want to buy any flat here and the work for them is going to be a lot easier. There are a lot of reputed banks which are there to provide loans to people if they want to buy flats here and the builders will provide all the assistance even after the client has bought the flat. There are 2 BHK flats of 925 to 950 sq. and also 3BHK flats of 1100 to 1347sq.ft and the prices for these flats will be given once it had been requested.